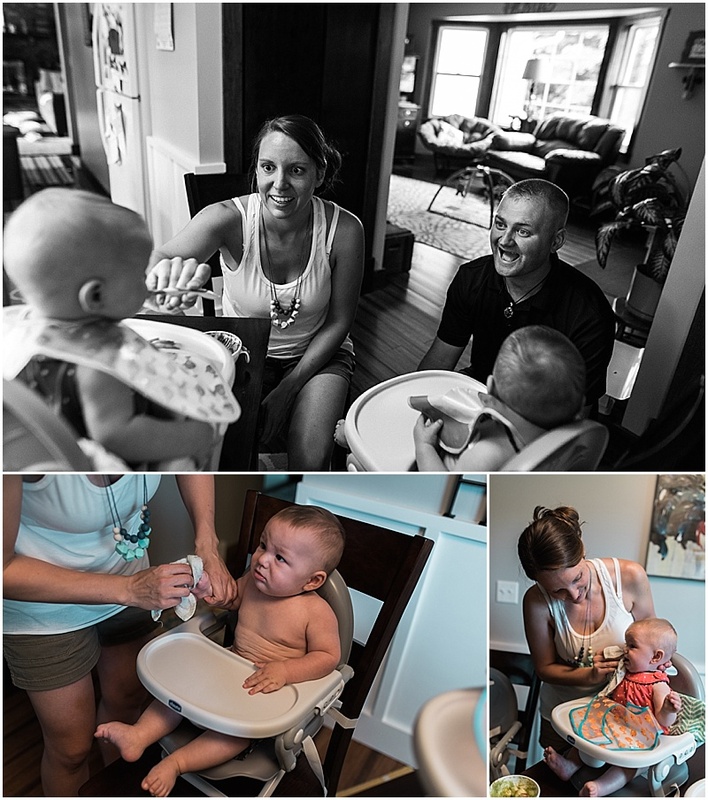 They're six months old now, these darling babies whose entrance into the world was so rare and remarkable. 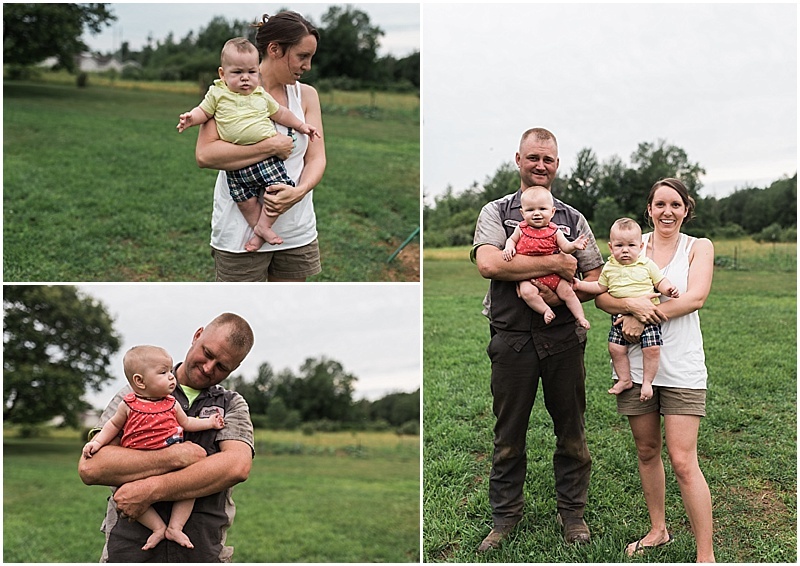 And at six months old, they're exploring the capabilities and boundaries of their small bodies, developing very distinct personalities, tagging along to their mom's office with her every day, playing with their friendly chickens, trying out solid foods, and hanging out in the workshop barn with their dad. 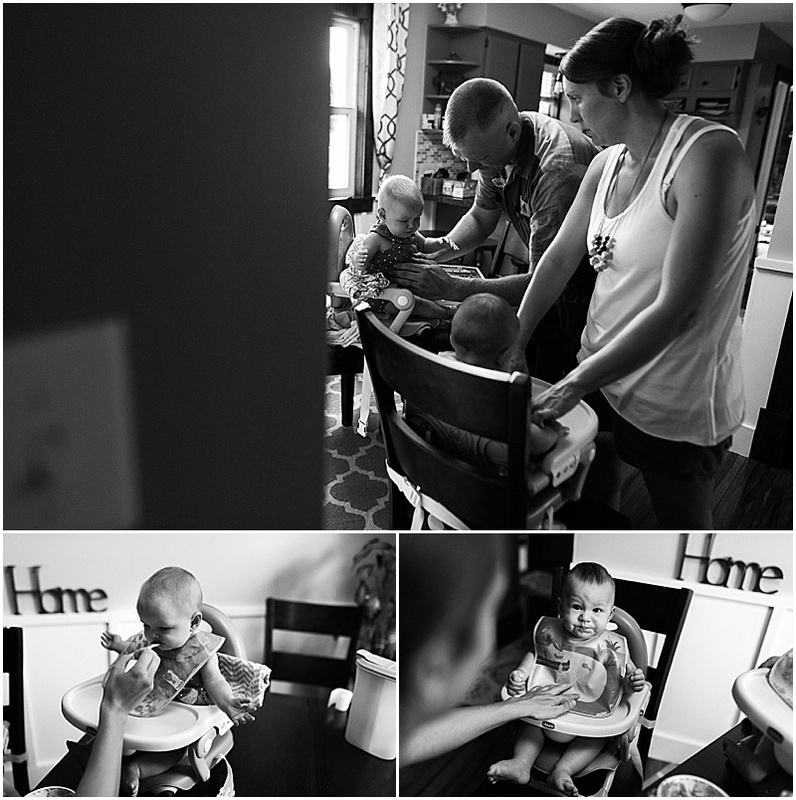 Here's a glimpse of a day in the life of Madelyn and Dirk, and their parents Jessica and Charlie.